There’s more depth to Kill to Collect than one would assume at first glance. While its style is an excellent nod to all of the 80s anime, cartoons, and films from which it drew inspiration, all of that merely serves as window dressing to its greatest strength: its gameplay. 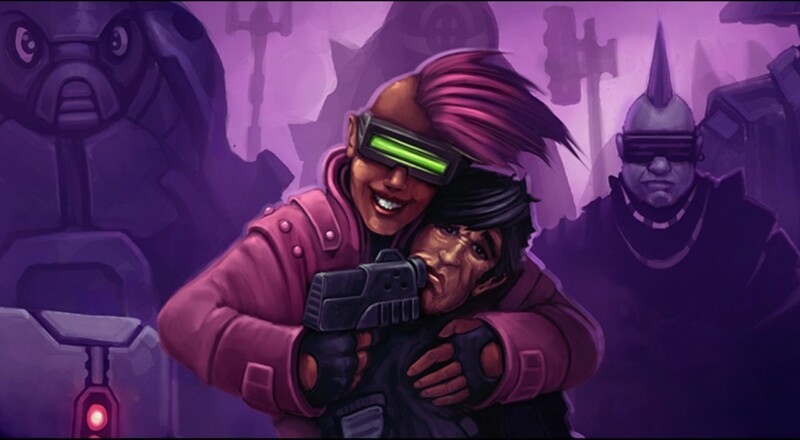 Set in the distant future after some catastrophic event, Kill to Collect puts you in the boots of a bounty hunter just trying to earn a living in the last known city on Earth, Geoshelter Alpha. This is just enough of a setup to set the title in a world that is reminiscent of any number of dystopic films, anime, and novels from the late 20th century. The various areas you explore in Geoshelter Alpha are industrial and cold; the enemies wear leather jackets and sport window-shade glasses; and the soundtrack is the perfect mix of synth melodies and electronic beats. The only thing missing are the VHS scan lines. Unfortunately, all of this is just a backdrop for a game with one goal in mind: track down and kill bounty heads. The campaign's 13 levels feel a little geared more towards familiarizing you with the gameplay than telling any kind of story. As you progress through each level, you’ll either be gathering information about a bounty, or going after them directly. 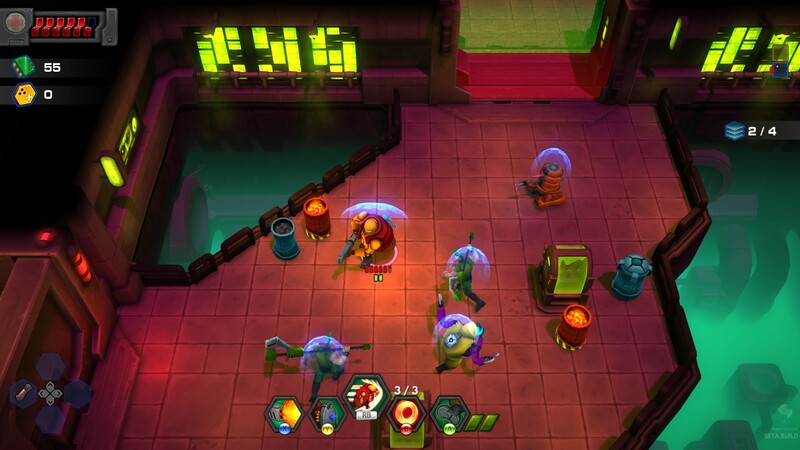 Regardless of which you’re doing, each level plays more or less the same: fight your way through a series of procedurally generated floors, and then take on the bounty head (or a horde of enemies). Each floor is divided up into individual rooms that pit you against a set number of foes. Defeat all the enemies, open the door to the next room, clear that one out, and so on. There’s a certain Smash TV feeling to the whole affair, which is further enhanced by special challenge rooms that net you food stamps upon completion and enemies that occasionally drop tech credits or other special items. On average, you’ll spend about 15 to 20 minutes on a level. Those stamps and credits are used at the shop area found at the end of every floor. Here, you can buy food (which serve as character upgrades), consumable items (such as medkits, secondary weapons, and temporary buffs), and replenish any health you lost along the way. The upgrades, which can increase your hunter’s total health pool, shorten the cooldown time on special skills, increase damage, and more, last until you complete the bounty or everyone in your group dies. If you make it all the way to the end of a level and kill the bounty, you’ll earn some credits. This special currency is accumulated across all game modes (Campaign, Challenges, and Free Play) and unlock new character skins, cosmetic titles, and gear loadouts, which you can set before partaking in a hunt. Page created in 0.2482 seconds.